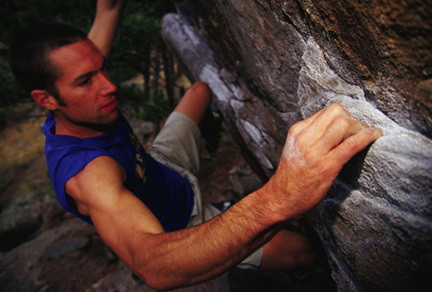 Bouldering on the Beer Barrel Boulder. Flagstaff Mountain. Boulder, Colorado.